HARRISBURG, Pa. (AP) — Pennsylvania is immune from any allegation of voter fraud by Republican presidential nominee Donald Trump, the state’s top elections official declared Thursday, and Pennsylvania’s voting machines and tabulating systems can’t be hacked because they aren’t connected to the internet. 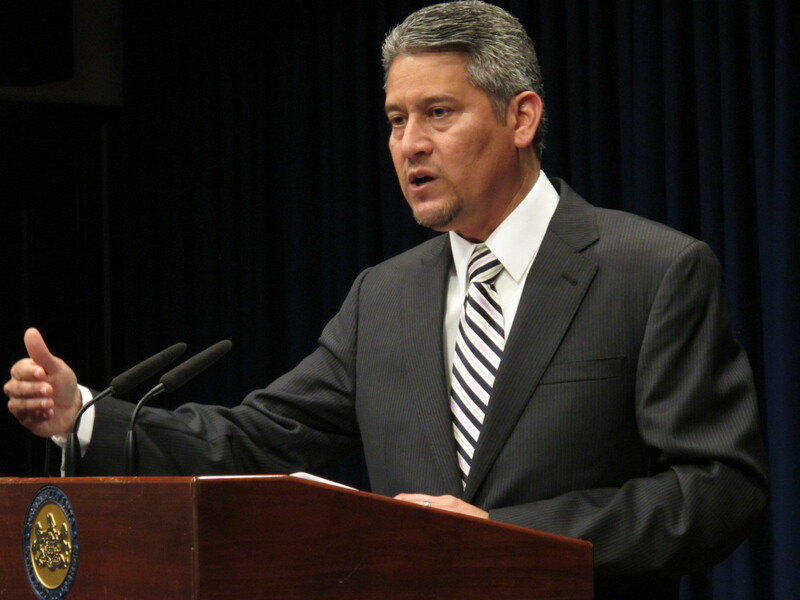 Secretary of the Commonwealth Pedro Cortes, a Democrat, said claims of voter fraud are without proof in the modern history of Pennsylvania’s elections. “We run good elections in Pennsylvania, we have done so historically, we will do so again,” Cortes told reporters at a Capitol news conference. He said every voting machine prints out an audit of votes cast on that machine during the day, and copies are given to the judge of elections and elected minority and majority inspectors. Election night reporting of results is run through a secured network that is not connected to the internet, Cortes said. Cortes’ comments came in response to suggestions by Trump and others that election results could be rigged, hacked or bent by voter fraud, such as by people casting ballots in the name of dead people still on voter rolls. Polls show Trump clearly trailing Democratic presidential nominee Hillary Clinton in Pennsylvania by mid- to high-single digits. Trump has focused recently on certain cities, including Philadelphia, as being susceptible to voter fraud, and urged his supporters to keep a close eye on “other communities,” a call that has stirred fears of voter intimidation and confrontations at the polls. Cortes said it is disheartening that any candidate would cast such doubt onto the election system. In court cases challenging Pennsylvania’s 2012 law requiring voters to show an acceptable form of photo identification, officials from then-Republican Gov. Tom Corbett’s administration presented no examples of voter impersonation. The law was struck down in the courts. Eventually, the names of people who’ve died are removed from voter rolls by counties, although it may not be for several years if the county does not have proof of a person’s death. Cortes also said he had heard of no reports from county elections officials of any higher-than-normal interest in registering as poll watchers after Trump urged his supporters to watch Philadelphia closely. Cortes said poll watchers must be identified in advance, receive a credential from the county and assigned to a specific precinct or division.